Lot 10: Greek Italy. Central and Southern Campania, Cumae. AR Phocaic Didrachm, c. 470-455 BC. D/ Female head (nymph Kyme?) right, wearing pearl-diadem and necklace. R/ Mussel shell; above, ear of barley. HN Italy - (cf. 526). Rutter - (cf. 32-34). Cf. 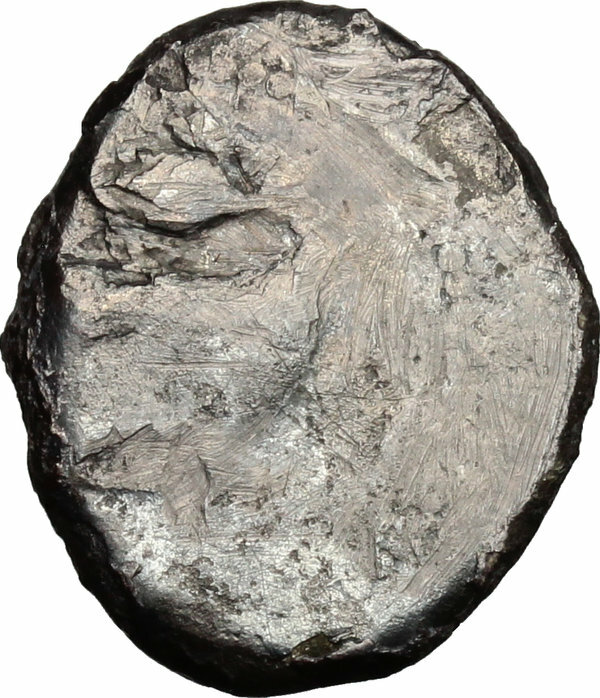 NAC 48, lot 1 ('An apparently unique and unrecorded type'). AR. g. 6.73 mm. 19.50 RRR. Extremely rare. Fair. 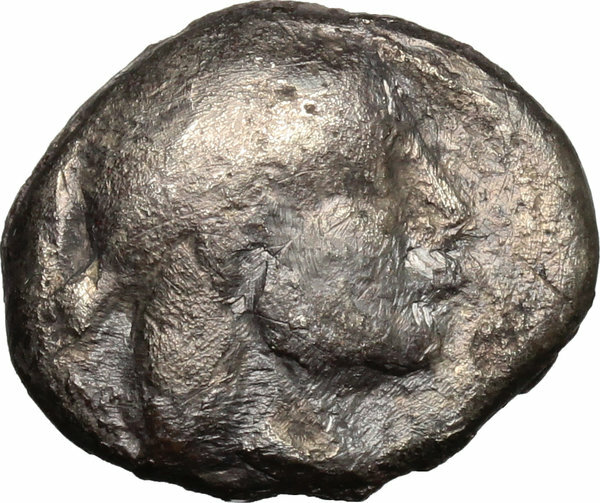 The archaising portrait shows a marked influence of the head on the reverse of the Damareteion didrachm of Syracuse (cf. HN Italy 526 note).